Still as powerful as the day it was first performed, West Side Story is undoubtedly the hottest ticket in Glasgow this week. Although it's 50 years since it burst onto the stage in 1957, West Side Story remains bold and relevant, a glimpse of a disenfranchised youth who find family and solace in their street gangs. Unlike younger shows that have dated over time this remains fresh, its timeless tale of love and loss spanning the generations. 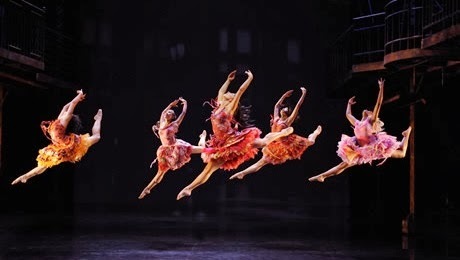 Visually stunning, the balletic opening sequences in this production leave the audience captivated by the colour and movement. The effective use of a reflective floor in the set adds another dimension to the performance creating haunting darkness and vibrant colour accordingly. The hulking metal fire escapes of New York dominate the stage creating the city playground of the Jets and the Sharks as well as providing a balcony for Tony to clamber up to Maria. This young cast perform the complex choreography exquisitely with the Sharks' girls barefoot performance of America particularly striking. The cast switch effortlessly from ballet to vaulting over each other at full height bringing the stage alive with motion. With a talented cast, timeless themes and heart-wrenching conclusion, it's easy to see why this production has been packing theatres throughout the UK, get swept away by the magic while you can. 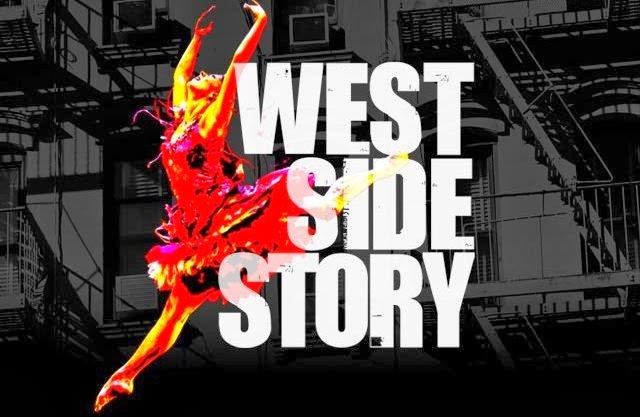 West Side Story is at the King's Theatre until 25th January.